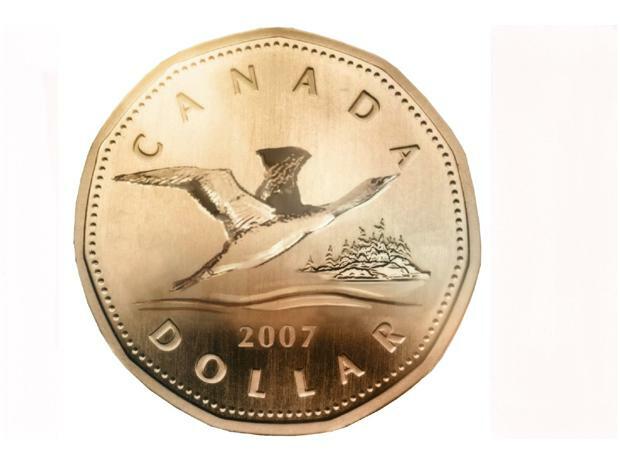 The Rise of The Loonie - Good or Bad? The Rise of The Loonie - Good or Bad? I’m going shopping in the States next weekend (or to be more precise, I will stroll around aimlessly while my girlfriend goes shopping in the States next weekend) and I can’t wait to take advantage of this crazy high Canadian dollar (vicariously). If you don’t live close to the border, or just don’t go shopping in the USA very much, you might not ever pay attention to the US Dollar vs Canadian Dollar statistics. Growing up in a border town, where people’s wages in real dollars depended on what the exchange rate was, we learned to pay attention from a young age. With the news coming out of Washington that their political stalemate is essentially getting closer and closer to blowing up the whole modern economic debt system, nervous investors have been running away from the US dollar. Canada’s relatively stable government, energy, and banking sectors (as well as Australia’s) has looked like a great alternative. Because of this, the exchange rate has climbed to all-time highs for the Canadian side of the ledger. This has effects that unfortunately reach far beyond my shopping weekend. If you do not deal with exchanging money very often or have a strong interest in international economy you might not fully understand why a currency might “rise” or “fall” relative to other currencies, or the widespread effects it can have on an economy. The idea of floating currencies is fairly complicated, but it is suffice to say that there are a few main factors that will determine how strong a currency is. Depending on the inflation rate in a country, how much debt it has, how strong its economy is, and the overall stability of the private and public sectors, a country’s currency will rise or fall relative to how much of another currency you could buy with it. Because the USA has been a world leader since the close of WWII, many currencies measure themselves against the US Dollar (USD). This is why when all the countries in Europe banned together under the Euro as a central currency and it challenged the USD supremacy, it was such a big deal. The exchange rate for a currency has ripple effects at many levels. At the highest echelons of finance there are people out there called foreign exchange traders (forex) who buy and sell huge amounts of money, almost like you would sell stocks in a stock market. These people can lose or gain lots of money in specific deals. For example, right now with the Canadian dollar at all-time highs, I might go buy a billion dollars worth of USD. In a year or so when the USA’s problems have settled down and a new president is elected, the USD will likely get much stronger, and then I can trade back to Canadian dollars for a tidy profit. Businesses are especially affected by currency rates. Depending on what the rate of exchange is, it makes things either much easier to import or export when trading with other countries. For example, my dad harvests lumber for a living (don’t get me started on the misinformation campaign against lumberjacks) and when the Canadian dollar was very low a decade ago, he could sell wood to the USA, get paid in American dollars, and then earn an extra 30-40% on his paycheque when he changed it into Canadian dollars. Contrary to initial appearances, when the dollar is low it is sometimes seen as good for an economy. Many people believe the Canadian government intentionally kept the dollar low so more people like my dad (and on much bigger scales) could sell products all over the world and especially to the USA. Now the other side of the equation is that when the dollar is weak, it costs a lot to buy things from other countries. So if there is a product that must be imported from the USA it will cost more. When the situation is like the current one, it is very difficult for Canadian manufacturers and small businesses to sell any goods to the USA because they have to effectively pay more of their dollars for it than they had to in the past. Finally, there is the personal level. Living in a border town, we started noticing about four years ago people taking advantage of comparison shopping in the USA. In fact, few people understand that with the North American Free Trade Agreement (NAFTA) having fully kicked in, there are hardly any extra duties payable on anything at the border (clothes not made in Canada, the USA, or Mexico being the large exception to the rule). The money that customs will take from you is usually the same tax rates that you would be paying in Canada anyway! When our dollar goes up to high levels like this we can take advantage of the competitive American market (if only we could lock in cell phone and internet plans as well) and buy big ticket items like vehicles, boats, and building supplies at prices well below those on the Canadian side. Economic theory of supply and demand basically claims that if enough of us do that, then the USD will get stronger, the Canadian economy will get a little weaker thanks to our consumer dollars leaving the country, and at some point exchange rates should reach a basic balance. It usually takes some serious events such as the housing crash and now the debt “crisis” in a country to upset this balance by a whole lot. Whether you realize it or not, the vast majority of what you buy everyday has had its price affected in some way by that exchange rate you see every night on the news. At the moment I’m not so worried about forex traders or world trade surpluses, I just need a new pair of basketball shoes at the cheapest price I can find ‘em! Thanks for the lesson! With the pathetic Q1 and Q2 GDP numbers that came out last week, we in the U.S. could certainly use you and your girlfriend’s money. My husband used to work in sales for a small Seattle company that sold a lot of products to Canadians. He always followed the exchange rate because he knew that when the Loonie was strong against the Dollar, his sales to Canada would go up. Since the cheapest product he sold was $1,500 US, it made a pretty substantial difference to his Candadian customers (especially the retail locations). A gym buddy of mine isn’t going on vacation to the US for quite a few weeks, but he just recently bought some American dollars to take advantage of the strong loonie. I recently purchased a few U.S. equity positions, but the markets have dipped with the debt ceiling ‘crisis’ in the U.S.. Regardless, they’re long-term plays and I’m comfortable with it. That’s what I hear. Well I’m sure if my gf has anything to say about it Target’s 3rd qtr should show some improvement! I bet it would have made a huge difference to his bottom line too! Vancouver being right next door, and drawing in an increasingly affluent population would have been a big deal for business. It’s interesting how countries screw around with subsidies and so many other things, whereas if they just let the market find its natural balance we’d probably all be better off! Yah, now is a great entry point for Canadians to get into US Equities without a major currency hedge. I know Marie. It makes no sense to me. There are so many grandparents out there who have no intention of spending their investments, yet have all of their money in GICs or bonds. I try to recommend blue chips (which I would argue are more stable than government bonds anyway) that give cash flow with dividends, but at least have some appreciation as well. It is so frustrating as I am fairly certain 2008, and right now (to a lesser extent) will probably be the buying opportunity of my lifetime! I run an online business, with about half my sales to the UK, half to the US. I’m in the US, and price everything in US dollars. There is a script I run to sync the costs in British pounds for people viewing the site from the UK. Sometimes I see my sales in the UK skyrocket or drop heavily. For over a year, I thought it was Google playing games with my search engine traffic – but then realized it was the rise and fall of the Dollar and Pound that was causing my conversion rates to change. Interesting. Did you have the option to keep the transaction in the more advantageous currency until you wanted to switch it over at a more opportune time?